Down at the roots, folk songs erase their authors. Even when they can be traced to their original writers, they connect even further back to something indigenous, chthonic. The Irish folk ballad “Schooldays Over” was written by Ewan MacColl as part of a larger work entitled “The Big Hewer,” which was broadcast by the BBC in 1961. In its frank depiction of a life that lead directly from the schoolhouse to backbreaking labor in the mines, it is very much of its time. But its plain, melancholy melody adheres to something more universal as well, and that’s the thread that Chris Campbell and Grant Cutler pull out and build on for this new innova release. It begins with the faintest wooden sound—the shift of a chair or the creak of a piano bench, perhaps. The music unfolds delicately in reverberations and echoes from piano, glockenspiel, strings and more laid on top of synthetic tones and beds of sound. 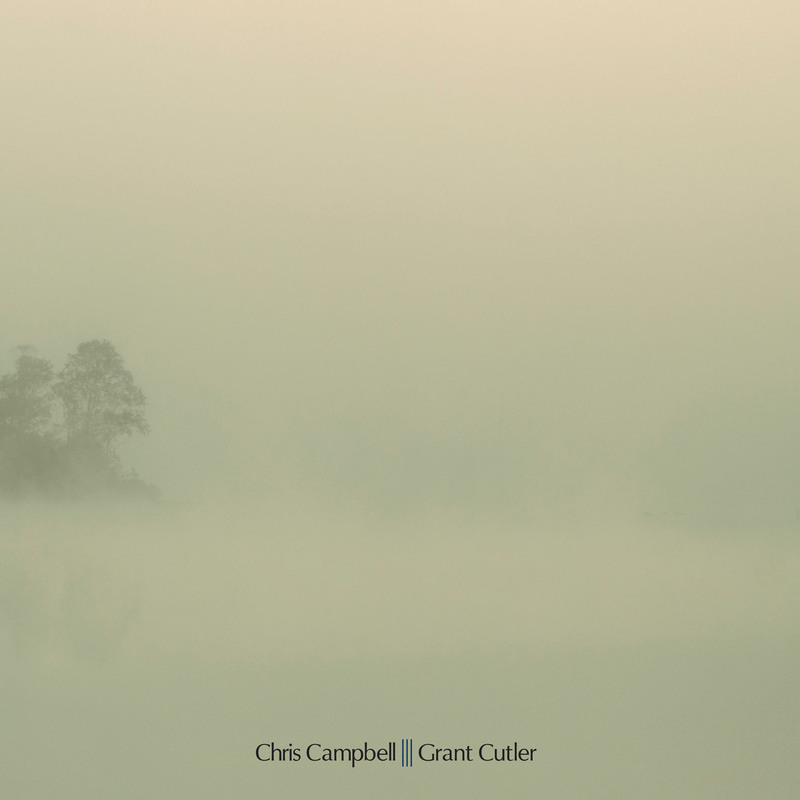 When Cutler’s delicate, birdsong-encircled vocals arrive, they sound like the ashes of MacColl’s song, burnt down then returned from a distant place, a residual haunting repeating itself inside the track. Stretched into a roughly 20-minute suite, the song’s pressing, immediate concern with the toll of hard labor is effaced and supplanted by a meditation on time’s fleeting nature, on questions of duty, work and leisure. Campbell and Cutler haven’t added to or fleshed out the original so much as zoomed in so close we’re practically inside the song’s heart, watching the world from inside a sepia-tinted diorama. Their achievement here is not making the song their own, but excavating it, turning it into something for no one and everyone. That is, at the root, a folk song’s job. Campbell’s latest album for innova, Sound the All-Clear, was called “less a piece of music than an imaginary movie for the ear” by Absolute Sound while Tim Rutherford-Johnson praised its “beautifully relaxed, almost accidental vibe, like having great musicians on a teabreak in your workshop." American Record Guide said, “As the title suggests: the danger is past. Let’s take a stroll, whether down memory lane or across the meadow. The whole world beckons, and we’re free to ramble as we will.” His album Things You Already Know, a collaboration with musical friends including members of the St. Paul Chamber and Minnesota Orchestras, will be released by innova in January. Chain D.L.K. compared Grant Cutler’s innova debut, 2012, to “drifting above … [a]n alien landscape, sparse and rocky, bright white light,” saying “there is a very distinctive world etched onto the two sides of this vinyl." Cutler has been a member of Lookbook, Grant Cutler and the Gorgeous Lords, and his project with Aby Wolf, Wolf Lords, whose self-titled album is out now.